A very exciting experience!!! The guides were nice and funny. A must-do thing in the Gondola. 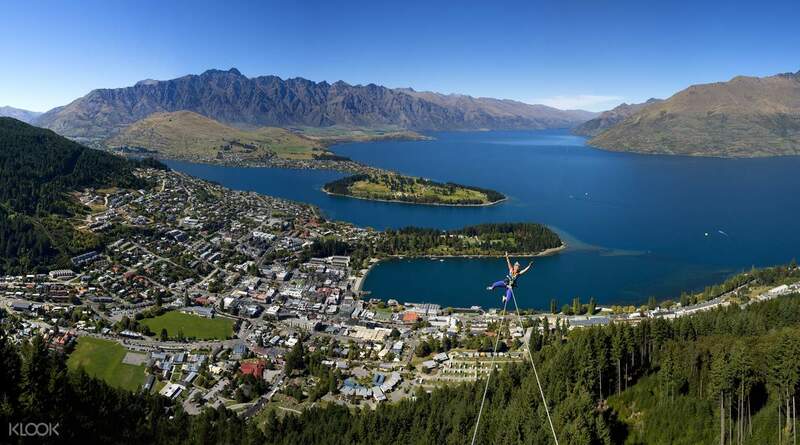 For daredevils and anyone looking for a thrilling ride over Queenstown, the Ledge Swing is for you. Located at the top of the Skyline Gondola, the Ledge Swing lets you take a relaxing panoramic ride up or begin your exciting journey on an hour hike up to the Ledge. After being strapped with your safety equipment and briefing, get ready to pull the trigger which will set you flying 400m across and over Queenstown! Feel the wind rush around you and keep your eyes open for the million dollar views of beautiful Queenstown and its surrounding natural wonders from Lake Wakatipu to The Remarkables mountain ranges. The ride up to the swing was great, there were some nice views. The swing itself was cool, it was a great rush! The ride up to the swing was great, there were some nice views. The swing itself was cool, it was a great rush! A very exciting experience!!! The guides were nice and funny. A must-do thing in the Gondola. A very exciting experience!!! The guides were nice and funny. A must-do thing in the Gondola. This is really great, really super fun, I will play again next time!! 這真的真的太棒了，真的超好玩的，下次還會再玩! !